Winter fishing in Southern Palm Beach county has begun, bringing with it bright sunny skies and warm temperatures for anglers aboard the Lady K. Morning and afternoon catches have hosted such fish as King Mackerel, Mahi Mahi, Grouper, Snapper, False Albacore, Gray Triggerfish and many different species of reef fish. Anglers fishing bottom rigs and cut squid have enjoyed plenty of action and is the perfect combination for young children. 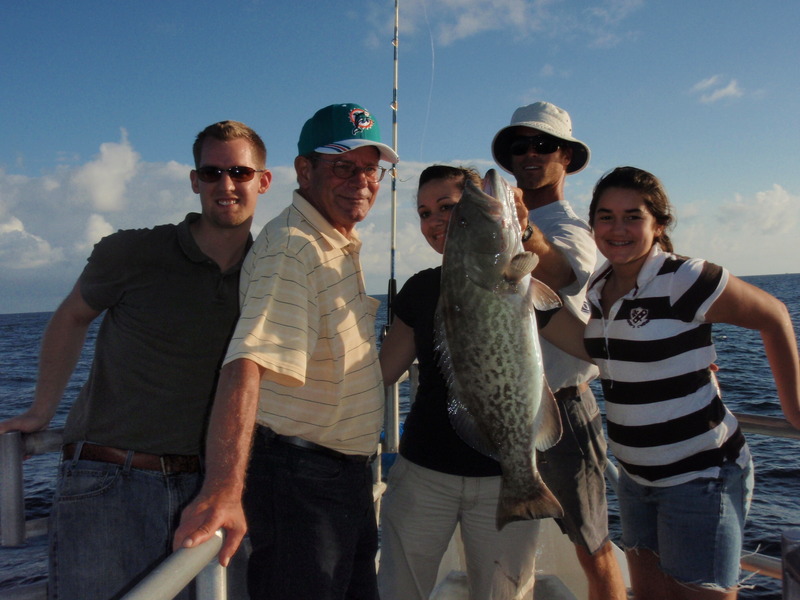 This family enjoyed the benefits of landing a nice Gag (Gray) Grouper, good ole’ fashion quality time, both on the water and at the dinner table. Fishing really helps to build fond memories of family and friends. The professional crews of the Lady K understand this and strive very hard to bring the best customer service to the industry. Every trip is an adventure bringing with it the possibility to also see other marine life such as Sea Turtles, Sharks, giant Ocean Sunfish, Porpoise or Dolphin and sometimes a sighting of different Whale species. 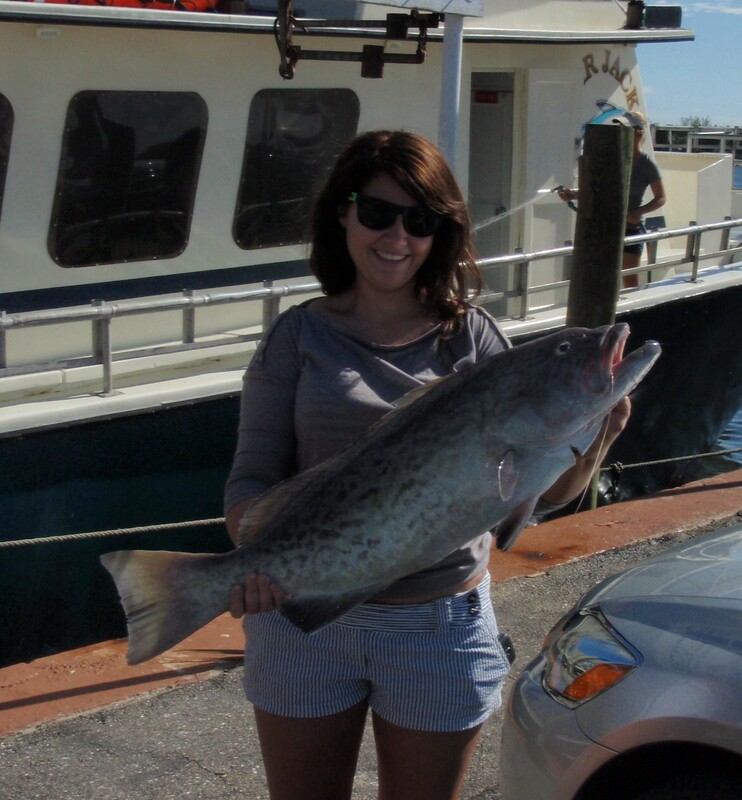 Another beautiful Grouper catch from a recent morning trip. Grouper season closes as of January 1st so don’t miss out on an opportunity to catch one of these wonderful tasting and hard fighting game-fish. Anglers catching these unique reef dwellers have been using dead sardines fished on or near the bottom. If you’re a first time angler, please ask your captain or mate to show you how to spool the bottom for a chance at hooking one of these battling brutes. 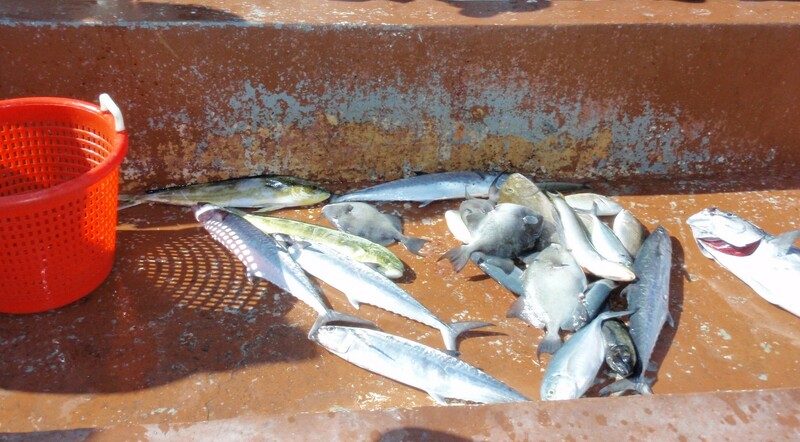 BarJack Fishing also offers group rates for ten or more anglers, please call us at 561-588-7612 for more information. The Lady K is an open boat so no reservations are needed. So plan a trip today, sit back, relax and let us do all the work aboard the Lady K.